Hi y’all! I’m doing my first giveaway and it’s a doozy. This Sole Society vegan leather weekender bag is soft, stylish, roomy, and has a large lower compartment for shoes. 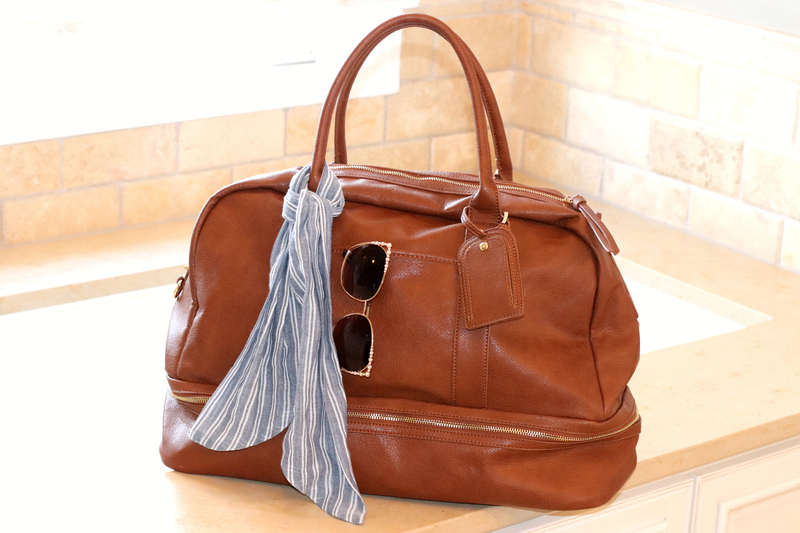 This bag is perfect for any weekend getaway and is also a great carry-on! I am giving away TWO, one on facebook and one on Instagram! Whaaaat? I’m doing this because I’m incredibly grateful for the support I’ve had on this (don’t say journey, don’t say journey, Erica say anything bu-) endeavor on Sunny Dispo thus far. Thank you! Thank you! Thank you! Head on over to my facebook and Instagram to enter! To double your chances of winning, subscribe to the occasional Sunny Dispo email update at the bottom of this post. Both winners will be announced next Sunday, March 18th! Entry cut off Saturday 3/17 at 9pm. So proud of you and your “Endeavor”! <3 <3 thank you Kathy! !